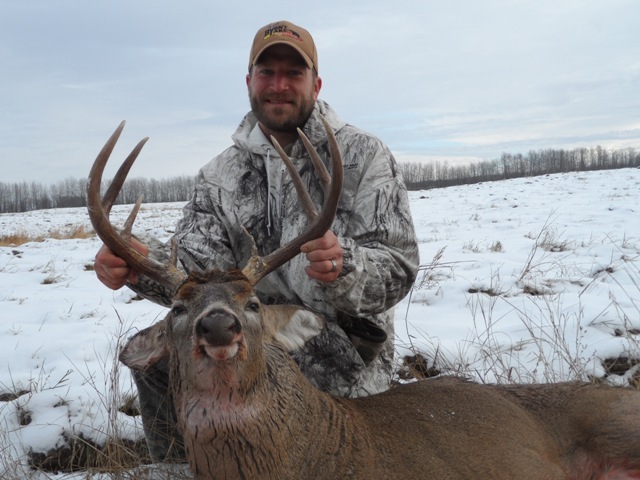 BOOK A WHITETAIL DEER HUNT WITH BURNT LAKE OUTFITTERS! Our whitetail deer rut hunts are designed for the serious whitetail hunter. 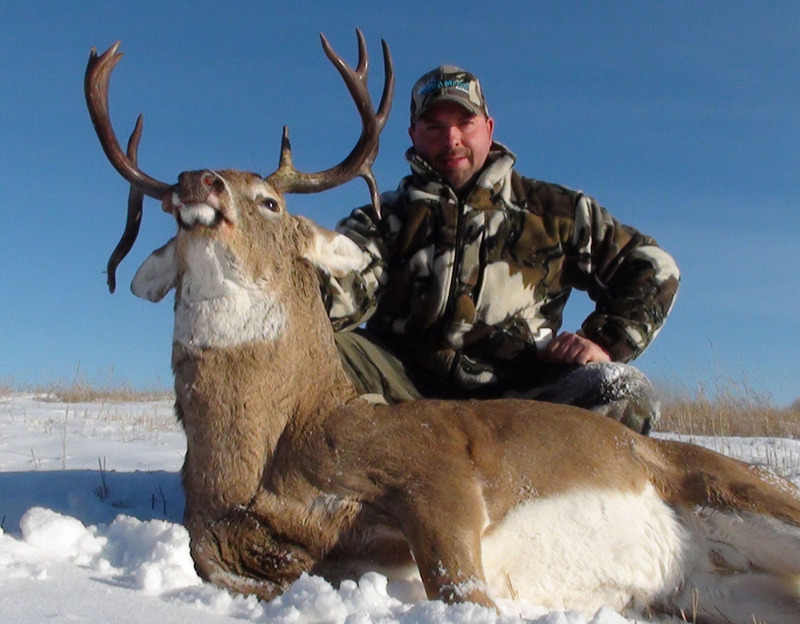 There's no better place to hunt free ranging whitetails in the peak of the rut than Alberta. I am proud to say we have a strict no baiting program in Alberta. Whitetail deer move naturally all day during the rut. 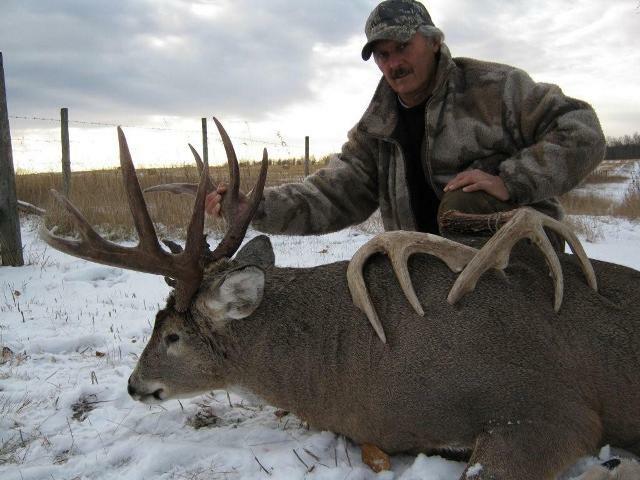 We have a few mule deer tags and adding a mule deer hunt to this whitetail deer hunt will give you a great opportunity to take home two trophy bucks. All methods used during your hunt, rattling and grunting, can be very effective, these northern whitetail deer are not call shy. Ground blinds, ladder and tripod stands are used for stand hunting, patience and persistence is required when hunting these Alberta giants. I also offer spot and stalk hunts to break up those long days in the stand. Utilizing all of these tools make for a very enjoyable whitetail deer hunting experience. 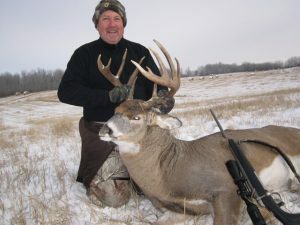 Our whitetail deer hunting area in northeast Alberta is one of the best whitetail deer hunting area in the province. 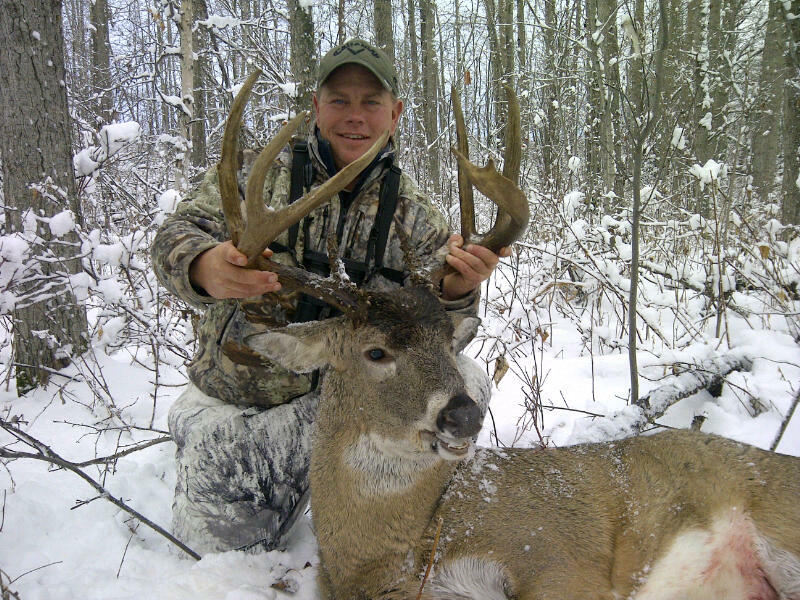 Where the farmland meets Alberta's Boreal Forest, this is Alberta's premier area for big mature trophy Whitetails. Lakes, creeks, and rivers are throughout the area. With vast areas of forest surrounding the farm land, bucks can grow to full potential. Our area has consistently taken trophy class bucks. Mature bucks can grow well over 300lbs; heavy dark horns usually match these mature bucks, these features make for a great trophy mount. Whitetail bucks reaching the 200+ inch mark are not out of reach when hunting in our area. I consistently put hunters on mature bucks and harvesting a 150 B&C or better is excellent. Our whitetail deer rut hunts run during the month of November, with Mid November being the prime rut. We offer all inclusive 8 and 10 day hunt packages. 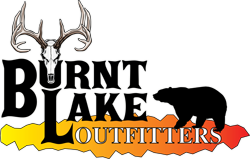 Burnt Lake Outfitters strives to bring you trophy class whitetail deer hunting opportunities.